A warm, wonderful centerpiece for your hearth and home. 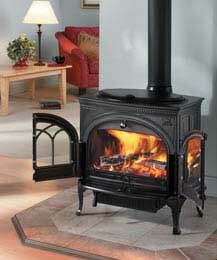 This furniture quality cast iron stove is the largest non-catalytic cast iron woodstove in the world. Durably built and superbly crafted, the Jøtul F 600 Firelight CB offers both front and side loading convenience in a classic design inspired by colonial American furniture. 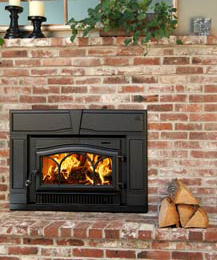 With a screen for open door fire viewing, mobile home approved leg bracket kit, outside air adapter, bottom and rear heatshield, and a choice of three enamel colors, this is a complete home heating system with unparalleled design. 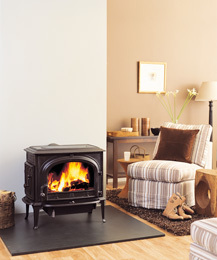 The Jøtul F 500 SE Oslo non-catalytic clean burn woodstove features both front and left side-loading convenience. With its large large uninterrupted fire viewing area, the Jøtul F 500 SE Oslo is the best selling large non-catalytic cast iron woodstove in North America. Incorporates Jøtul non-catalytic clean burn technology… plus open door fire viewing – an industry pioneer! The Jøtul F 50 TL Rangeley will offer the convenience of top loading in a non catalytic clean burning stove. Marrying both cast iron and steel, the Jøtul F 50 TL Rangeley will be offered with a choice of either steel or cast iron sides. Boasting an overall 84% energy efficiency, and EPA certified low 2.84 grams/hr emission; the Jøtul F 50 TL Rangeley is the perfect house heater for those cold winter months. Jøtul’s medium-sized single door, non catalytic woodstove just got better, with enhanced fire viewing and air wash performance. Featuring meticulous craftsmanship and design, the Jøtul F 400 Castine will provide a warm, wonderful centerpiece for your hearth and home. Created by award winning designers, this stove has a unique nautical theme which highlights the tradition of seacoast living, a lifestyle shared by residents of Maine and Norway. The Jøtul F 3 CB is the world’s best value for your heating dollar and is the best selling small cast iron woodstove in North America. 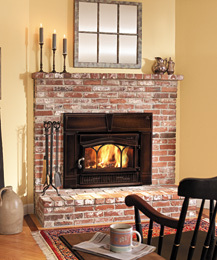 Low venting height, optional short leg kit, and open door fire viewing makes the Jøtul F 3 CB the perfect hearth stove. Jøtul has done it again! Based on the overwhelming success of its gas stove cousin and previously introduced in Europe in 2001 with remarkable acceptance, the Jøtul F 100 Nordic QT, continues our tradition of clean-burn woodburning design and innovation. With its decorative latticework based on a Norwegian sweater pattern, this stove is the perfect space heater for cottages, camps & smaller living areas. Over 1,000,000 of these fine stoves have been produced and sold through the world – making the Jøtul F 602 CB the best-selling woodstove ever produced. From the beautiful glass door to the sculpted charging lion on the side plates, this stove is truly a timeless work of art. 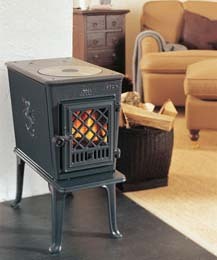 In fact, you can own the best for the lowest price of any EPA Approved Cast-Iron Woodstove! Jøtul C 550 Rockland incorporates the Jøtul Simplexä clean burn combustion system that maximizes heating efficiency and firebox capacity. Jøtul’s signature Gothic arch double door design has been incorporated into our new wood burning insert – The Jøtul C 450 Kennebec. Our cast iron designers and our talented product development team took great pride in designing the Kennebec to allow for over 20% more fire viewing area than its competitors. With its new classic cast iron surround panel, the Kennebec is a medium-to-large heater that will add warmth to your hearth, heart and home.